Battlefield will never be the same. On May 23, we’ll unveil your next all-out war journey. The next chapter of EA DICE’s groundbreaking all-out war saga is Battlefield V. Tune in on May 23 for a first look into how your epic journey with Battlefield V will be.On the Battlefield V Live Reveal, the team developing the game will share their vision. 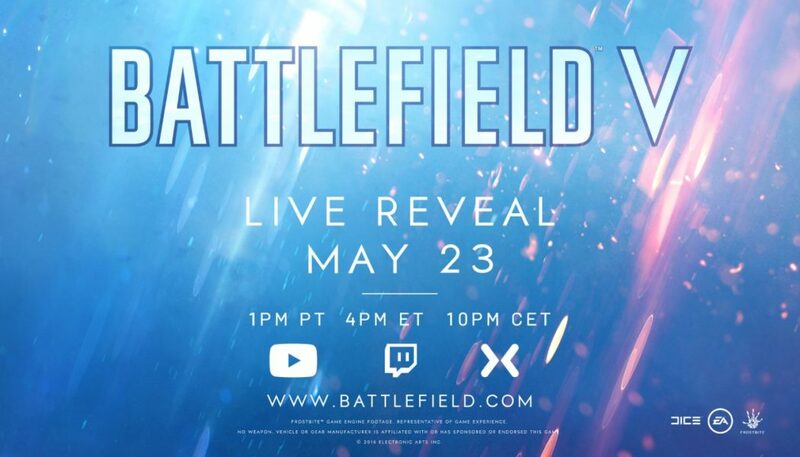 Watch the Battlefield V Reveal hosted by Trevor Noah on May 23 at 1 PM PDT/4 PM EDT/10 PM CET on Battlefield’s YouTube channel or Battlefield.com. The livestream will also be featured on Twitch and on Mixer.com. Prepare for May 23. Battlefield will never be the same.